« When you have oil pipeline companies, who needs satire? 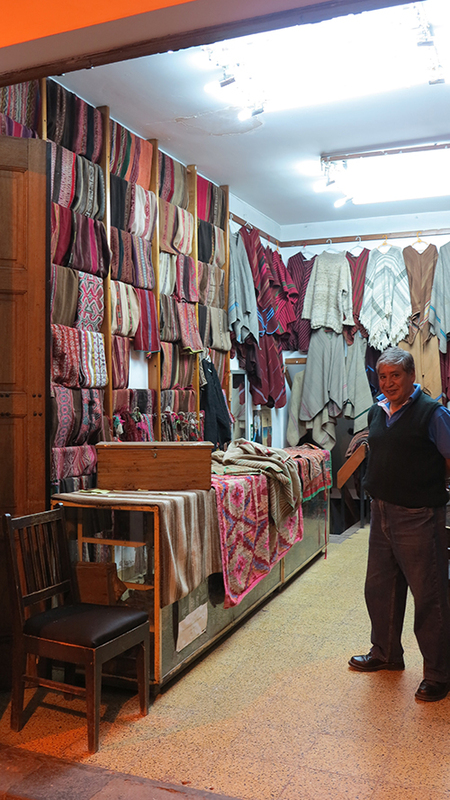 I was talking to the very knowledgeable owner of a shop of antique weaving in Cuzco, Peru, and after a while he mentioned that Mick Jagger had been in the shop two years before. 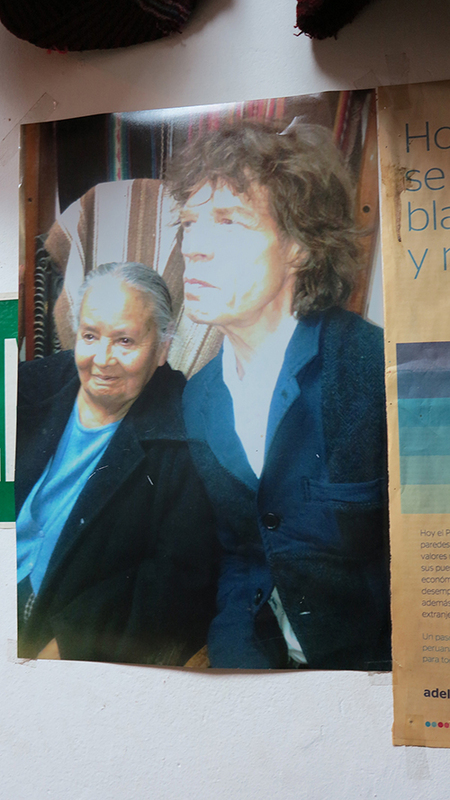 When I asked if Jagger was in Peru to do a gig, he said no, he had come to see Machu Picchu. 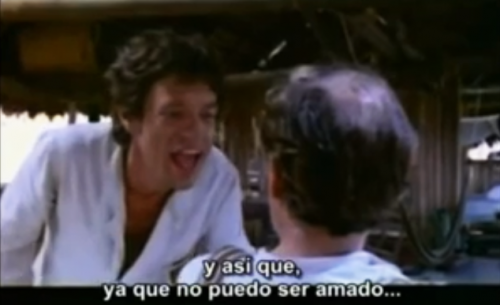 I guess he he missed it the first time he was in Peru, when he came to shoot Fitzcarraldo with Werner Herzog in 1980. 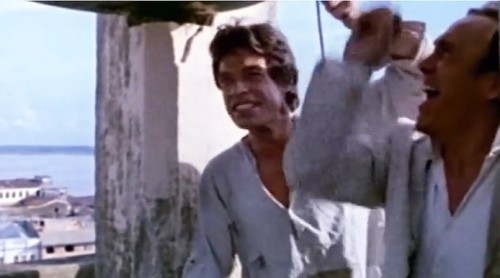 Sadly—or not depending on how you feel about Jagger’s acting—he didn’t make it into the final film. 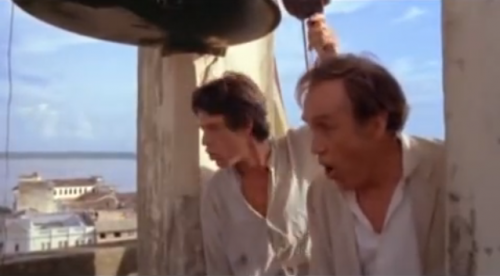 Jason Robards had originally been cast as Fitzcarraldo and Jagger was to play his sidekick, but when Robards developed amoebic dysentery and had to bow out, thus delaying shooting, Jagger could no longer continue because the Stones were cutting an album. In a way I’m glad because I think Robards was spectacularly wrong for the role. Watch the video if you want to see his hammy and lightweight performance. But Jagger seemed promising as the simpleton sidekick. Some disagree. In the end it was probably fortunate that the role went to Kinski, and I can’t imagine Jagger tolerating Kinski’s on-set tantrums and quasi-criminal manic episodes. The textile collection in this shop should be in a museum. The Peruvian government should consider paying the market price for its entire collection and displaying it all. It’s a crime that these pieces are slowly leaving the country. They represent multiple eras from every region of the country, and every one contains a message. What appear to be geometric designs are often animals representing family and cosmological origins and relationships. There is so little hand weaving left in the world. Much as I would like to collect more of it myself, it seems wrong to see it scattered to the winds even if that means Mick Jagger’s place. This entry was posted on Friday, May 16th, 2014 at 3:23 pm	and is filed under design, film & TV, textiles, video. You can follow any responses to this entry through the RSS 2.0 feed. You can leave a response, or trackback from your own site. Wow. 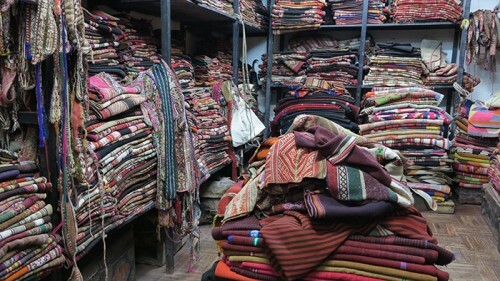 Where in cusco is this shop? The comment before mine is correct. It is in the main square in Cusco underneath the first colonnade 50 Ft from the corner of Mantas and Portal De Comercio.